Hello, and welcome to the Olive Garden! My name is Giovanni, and I’ll be your sommelier for the evening. 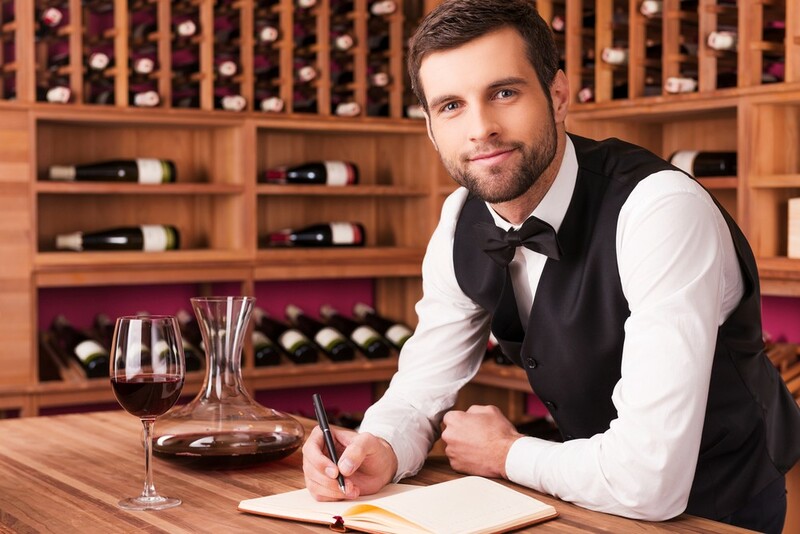 May I interest you in our delicious selection of wines? Excellent. Each of our choices tonight were hand-picked to perfectly complement your last day on the face of our ruined, smoldering Earth. More free breadsticks? Sure, I’ll make sure to tell your server. Let’s start with our splendid assortment of reds. First, we have our Merlot: soft and medium-bodied, with dark fruit flavors and the smoky undertones of a scorched planet littered with human carrion. You may also detect subtle hints of tree bark and shoe leather, which pairs nicely with chicken, veal, and any meat desperately gnawed from the desiccated corpses of household pets. Next, we have our Cabernet Sauvignon. This Old World Cab has more of an herbal flavor profile, with hints of black cherry and licorice dancing around the metallic taste of a shotgun barrel in your mouth, your only escape from a lost world devoid of light and hope. If you’ve ever had to sharpen a human femur into a spear to protect yourself against the suffocating terror of nightfall, then this is the wine for you. Of course, I’d be remiss if I didn’t mention our Pinot Noir. It’s a light-bodied red, resplendent with strawberry, raspberry, and blackberry fruit flavors. It goes equally well with fish or cheese, and helps take the edge off the paroxysms of agony as your starving body consumes itself from the inside out. As for our whites, we have a number of superb selections. Our most popular choice — and my personal favorite — is our Chardonnay. The oak aging delivers a creamy texture with tinges of butter and vanilla, flavors that hearken back to the days before the End Times, when food was lovingly baked by Mother instead of being stripped from the bones of the fallen. Our Pinot Grigio? Unfortunately, we’re unable to properly chill it to our satisfaction, mostly due to the lack of refrigeration and basic human sanitation. Without electricity, the closest thing we have to refrigeration is the cold realization that all is lost. We do, however, have a delightful Sauvignon Blanc that presents the zesty, herbaceous flavor of gooseberry when paired with the encroaching darkness of certain death. Its distinctive taste profile conjures memories of better times, before The Last War and The Food Riots, when The Great Cleansing was just a lofty campaign promise from an unlikely candidate. And finally, we have a special treat: our signature Sangiovese. It’s a savory, rustic red wine, perfectly balanced, with the earthy tones of a freshly-dug mass grave. Tart cherry and red plum — combined with a distinctive bitterness reflective of how avoidable the collapse of our civilization seems in retrospect — make this a fine accompaniment to your final meal. All of these choices are available either as a full or half carafe, by the glass, or in a collectible Olive Garden decanter crafted from a human skull. So, what can I start you off with? More breadsticks. Right. I’ll go get your server.